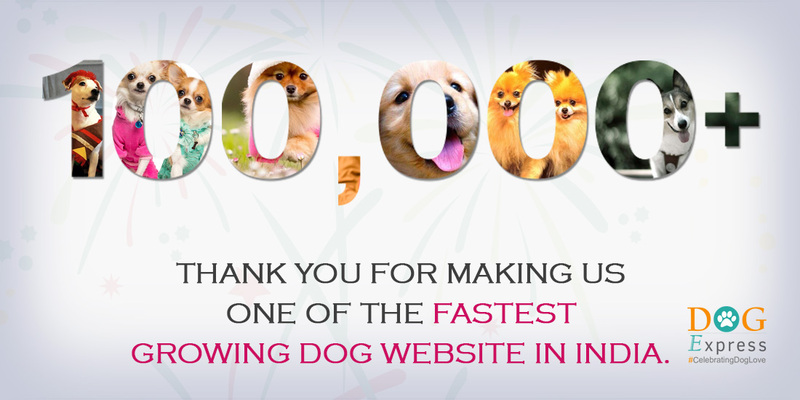 DogExpress recently reached a milestone by becoming one of the first and fastest growing websites in India solely dedicated to dogs. This announcement was made on 18 May 2016, when the website's Facebook page crossed 100,000 followers. The DogExpress team is excited to announce that they have become one of the fastest growing dog infotainment websites in India. With astonishing social media repute and over 100,000 fans on Facebook (https://www.facebook.com/DogExpress.in), DogExpress has established itself as one of the best and fastest growing source of dog information in India that offers credible dog information. In the past 6 months, DogExpress has helped a lot of pet parents, lovers and dog enthusiasts with their dog related queries and also kept them updated with latest events, causes and news happening around their locality. They have also been digitally involved with various NGOs and animal welfare organizations such as PFCI and PFA to help stray dogs and bring in awareness about stray dog welfare in the country. Their website articles have been widely received and appreciated by the users all across India. Concurrently, the DogExpress (http://www.dogexpress.in) reach at a global scale has also been quite exemplary. "To begin with, we have chosen Chandigarh to raise awareness towards rescue and rehabilitation of stray and abandoned dogs. By means of local collaborations with various NGOs, and support from organizations such as Rotaract, we plan to make Chandigarh free of stray dog issues and transform it into a city where every street dog gets a forever home."